Fear is now a sign that you are an intelligent, educated, open-minded and caring person. Being scared is incontestable proof that you have a beautiful heart. When it comes to your health, there is palpable terror that soon, very soon, the bad guys will take away Obamacare, which was the source of health care and life itself for many. Obamacare went into effect only three years ago, but in the age of information technology, years are like decades. Obamacare is deeply and solidly entrenched in the health care landscape. There is zero chance that anybody will be able to dig up its rhizomic growth into the actual practice of medicine, so let’s play along and see what can be done about the large shiny part, visible to the naked eye, namely health insurance. And people who must pay for all their health care on their own. Health insurance for all classes now includes a fixed set of “essential benefits”, no limits on lifetime spending and prohibition from factoring preexisting conditions into coverage decisions has been expanded to include non-group policies. This is the post Obamacare status quo. This is what the Republican Party is currently endeavoring to repeal and replace. It is important to note that while approximately 90% of Americans are eligible for either fully or partially subsidized health insurance, there is a 10% “donut” hole of mostly middle class, mostly precariously employed people, left to fend for themselves. Do not lie to the American people and do not use words you don’t fully understand just because self-described experts use those words often in casual conversation. Don’t tell people that their health care will be affordable if they open another empty savings account. Don’t insult the intelligence of sick people by telling them that if they band together with other very sick people they’ll be able to buy more affordable health insurance. Do not tell States that cutting Federal support for Medicaid will finally free the States to innovate. First, the “dishonest” press will roast you alive, and second, your “base” of forgotten men and women will be forgetting all about you. Equivalently, perpetual election machines of the third kind (lying to people) are impossible. Employer insurance – Leave the 26 year old children and the removal of lifetime limits in place because neither one makes much difference to affordability (preexisting conditions were never an issue for this group). Now we’re down to about 18 million insureds in dramatically different situations. Half are subsidized to various degrees based on their Federal Poverty Level (FPL). People with less than 400% FPL (a bit south of $50,000 per year) get some form of subsidy for the premiums, but many are struggling with outrageous deductibles. Those who make less than 250% FPL get help with their high deductibles as well. The 8-9 million who pay full price, along with 7 million of the uninsured, are in desperate need of relief from Obamacare. Add to that an increasingly large portion of employees whose employers “offer” exceedingly high deductible plans, and you have your Obamacare resentment in a nutshell. Step 3: The easiest and cheapest solution to the problem would be to allow people on the individual market to purchase Medicare coverage and direct all Federal subsidies (which will need to be spread out more broadly) back into Medicare. There should be no objection from the health insurance industry since they all seem eager to leave those tiny markets anyway. But of course, nobody is going to do that, because this would appear to be “government run health care” of the “socialized medicine” variety. Step 5: If you are serious about providing relief to the people, the government cost for replacement will be higher than the current Obamacare costs. To reduce health care insurance prices, you will need to consider the Zeroth Law of R & R and intervene in the pricing of health care products and services, such as drugs, devices, technology, regulations, the predatory environment created by consolidation of health systems, and the deprofessionalization of physicians. I think I’d rather resist the fiction of health insurance altogether. Being a Localist at heart, let’s go for 3A, and be sure State Medicaid is the very best Medicare Advantage program available. I’d expect the access problems to evaporate overnight, and the Second Law will be fine. He said lots of stuff, often contradicting himself. It is clear he doesn’t know much about health care policy. This will be written by the likes of Price and Ryan. So far all he has done is sign EOs, all of which can be overturned by the next president. He hasn’t done anything that can remain permanent. Health care will be a good trial, but you are much, much more optimistic than am I. Maybe because I am old and have been following this forever. I just don’t see the GOP changing its spots. Margalit, your hope that the Democratic Party will provide some support I think will fall on deaf ears. They are no longer the party of Truman, JFK and the like. They have turned into a party that would hang an image of either Truman or JFK in effigy. Maybe some individual Democrats will recognize how self defeating (for the nation) the Democratic Party’s present tactics are and respond in a more appropriate manner. We have seen the workings of the Democratic Party and leadership in the emails that have been released and this revelation is not pretty..
You’re hanging your hopes and dreams on what Trump says on any given day – really? Happy with the collateral damage yet Margalit? Well, if everybody can hang their hat on what President Trump said (or what they imagine he meant to say, or what the Huffington Post implied he may have meant to say, but didn’t actually ever say) two years ago, a year ago, or anytime before he became President for the purpose of generating mass hysteria, then I can certainly hang mine on what he actually said a few weeks ago, no? Peter, should Margalit have hung her hopes on what Obama had said? “If you like your doctor you can keep your doctor” …’a $2,500 savings’. etc. We now know that what he said were lies and knew it. Gruber confirmed what was going on. Trump is no expert on healthcare so he has provided general principles. He is a leader that will steer other people. What will come out of this is unknown. Obamacare has made things more difficult to correct. Your comments add nothing, but noise. Tell that to the people at the Repugs town hall meetings who don’t want their ACA taken away. Repugs never wanted to “correct” they just want repeal – and if there is a “replace” it won’t make the replacement better for patients than the present ACA. 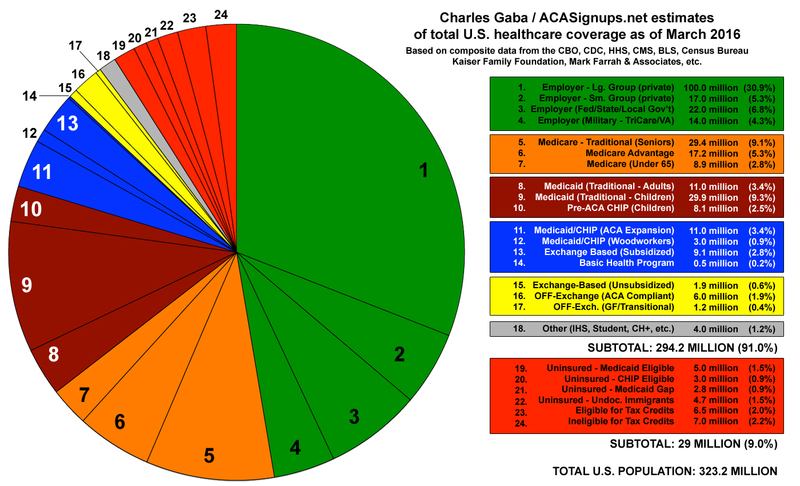 You can always “keep your doctor”, even in non-ACA policies, but the doc may not be, “in network”. This is a growing problem which I’m sure Repugs will solve by banning networks. There are lies and serial liars, Trump is the latter. So you’re saying Bob Creamer is paying operatives to attend the recent town hall meetings? Links to the “over and over”? Robert Creamer is probably staying away from these things for awhile. Many others are doing this and we just have to wait until they are caught, but many have been already. This you can look up for yourself. I gave you one link to O’keefe . There are more videos of this nature and a whole host of other things on his web site. The Democratic party is very corrupt and the corruption seems to start at the top working its way down. The link did not work. Veritas does questionable video editing that leaves the whole truth on the cutting floor. I can probably find it on all the right wing conspiracy sites you seem to hold as gospel, but so far no proof of paid operatives at these meetings anywhere else. I leave you to your paranoia.